Korean Giant Samsung has just released a new Galaxy Android smartphone in the Philippines, which - I think - would be a great option for millennials and young professionals who are looking for a goodlooking big-screen handset with good imaging performance and a decent set of internal hardware -- all while having a price tag that's at their arm's reach. All of which are easily covered by the Samsung Galaxy J8 2018 -- thanks to its good set of features and technical specifications. This model has several attractive highlights, including a tall and large 6-inch HD+ SuperAMOLED Display that's both brilliant and energy-efficient, a depth-sensing 16MP + 5MP Dual Rear Camera module that lets you snap portrait shots with luscious bokeh effect, a 16 MegaPixel f/1.9 shooter in front which has a Soft LED flash allowing you to take selfies even in low light settings, Full HD video recorder, and fairly large 3,500 mAh Li-Ion battery pack delivering a whole day of uptime. Inside the smartphone's svelte polycarbonate shell with metallic sheen, there's a mid-level Octa Core Qualcomm Snapdragon 450 processor with Adreno 506 GPU, 4GB of RAM for smooth multitasking, and 64GB of internal storage that you can easily beef up using the dedicated microSD card slot. Yup, no need to sacrifice Dual SIM capability to get more space for large files. Oh, and for users who are concerned about mobile security and privacy, this device has both a Fingerprint Scanner at the back and Face Recognition software integrated within the front-facing camera. 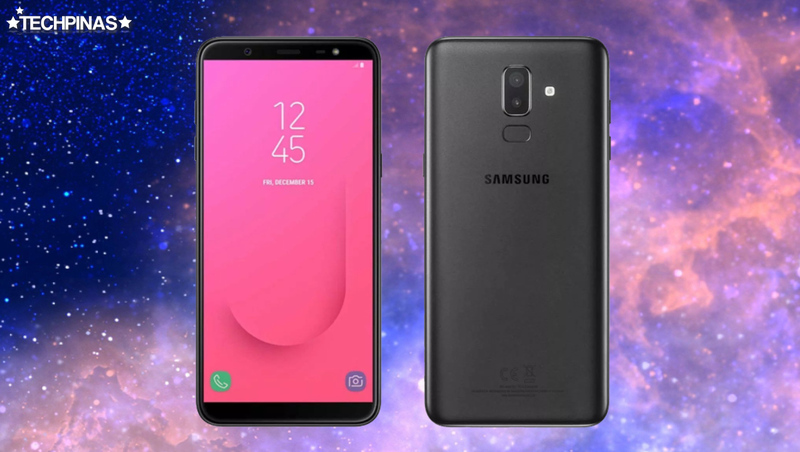 If you ask me, all of these stellar specs make the Samsung Galaxy J8 2018 a truly enticing midrange Android smartphone for young and upbeat consumers who want to get great value from their devices for the amount of money that they'd spend on it. Although the Galaxy J8 2018 is hardly the most powerful model in the company's current handset line-up in terms of internal hardware or imaging capabilities, I think it's certainly good enough to deliver a fun and enjoyable mobile experience anytime and anywhere. Also, while its processor could have been more powerful and Samsung could have given this phone a higher resolution display, I think all its other features make up for these short-comings. But that's just me. Let me know your thoughts in the comments section below. Priced at PHP 15,990, Samsung Galaxy J8 2018 is now available at all Samsung Concept Stores and authorized retailers online and in malls across the Philippines. 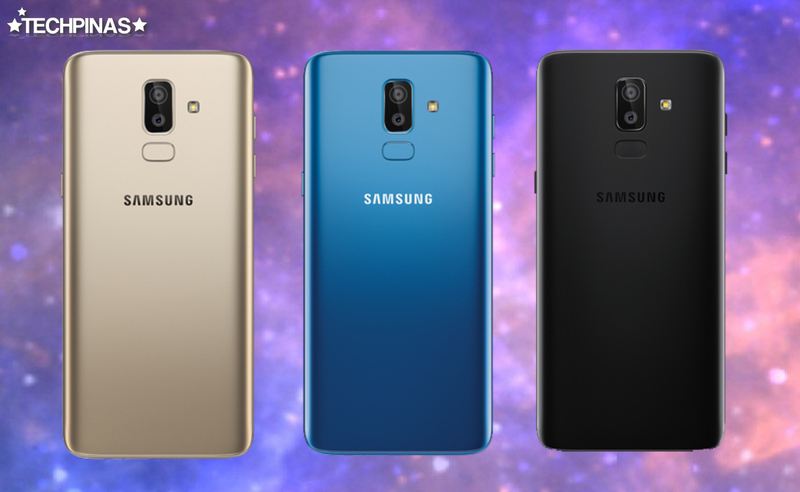 The handset is out in three colors, namely, Gold, Black, and Blue.